← Microsoft Xbox360 Slim Revealed, USD299! 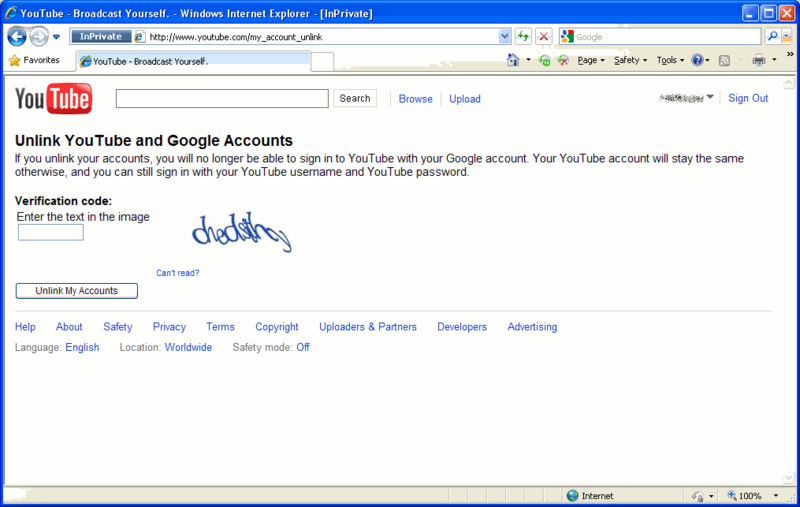 If you are not logged in, you’ll prompt for YouTube username and password. Enter the verification code too. If you are logged into YouTube, you’ll only need to fill in the verification code. Next, click on “Unlink My Accounts”. And your account is unlinked! 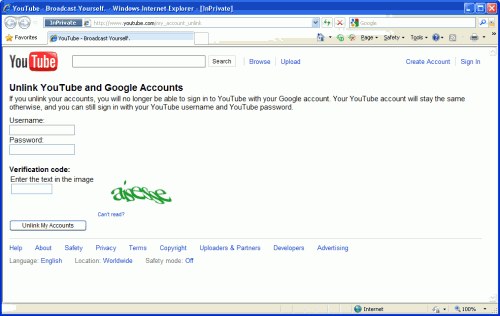 Login into you YouTube account. 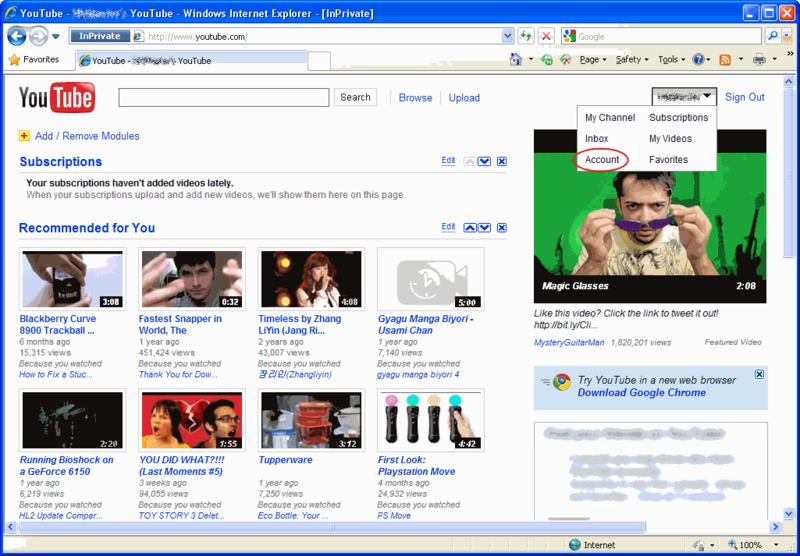 On the top right corner of the YouTube page, click on your username. 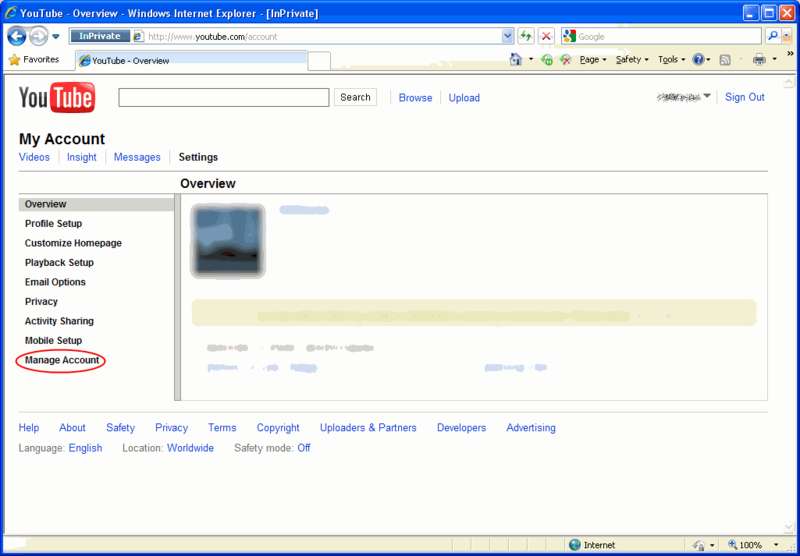 Then select Account. In you account page, click on Manage Account located on the left side of the page. 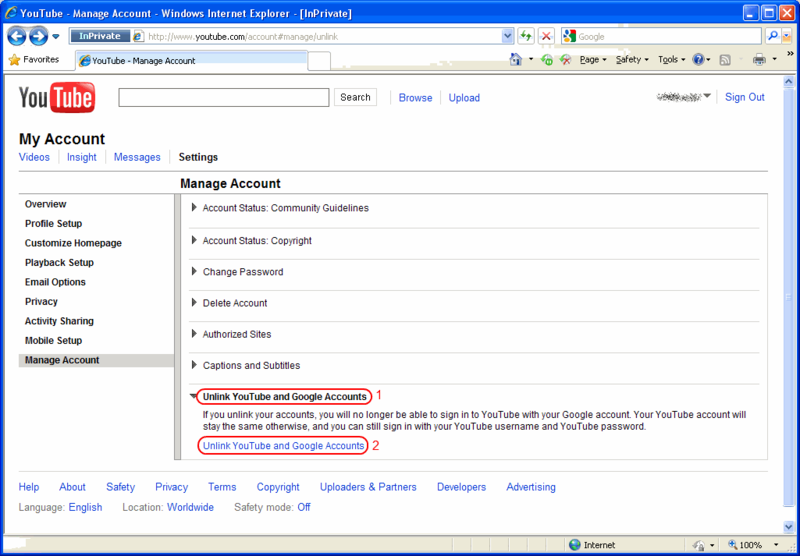 Click on “Unlink YouTube and Google Accounts” to expand the section. 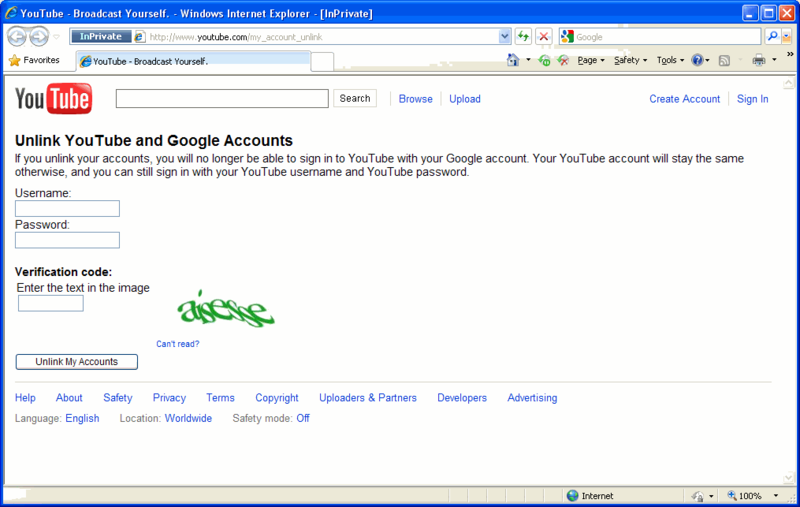 Then, click on the “Unlink YouTube and Google Accounts” link. This will bring you to the page mentioned above. 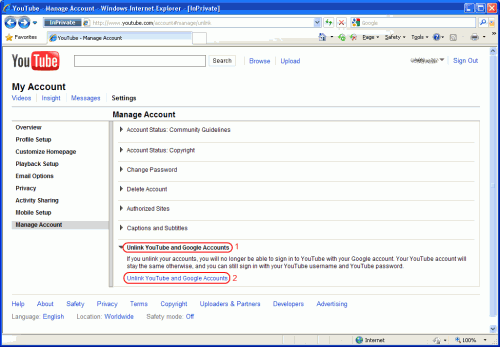 This entry was posted in Guide, Web and tagged account, google, youtube. Bookmark the permalink. OMG THANK YOU SO MUCH!!!!! i was “like wtf did i just do?” when i linked my youtube and google account. i looked all over there pages to try and pix this. but u did it for me! so ez and simple too! i would send u like a 1000 dollars if i actually had the money. thank you so much! Thanks for the tip, I link my wrong account with youtube some time ago, actually at that time it seams it’s good decision, but it’s end up I needed to to unlink those account, but I though that’s permanent. Obviously it’s not :). I already try your revers tab tip + this youtube unlinked, I really don’t know what to say. I’m really happy people with usiful tips still exist and helping us, orderer guys with problems we probably wound never solved. 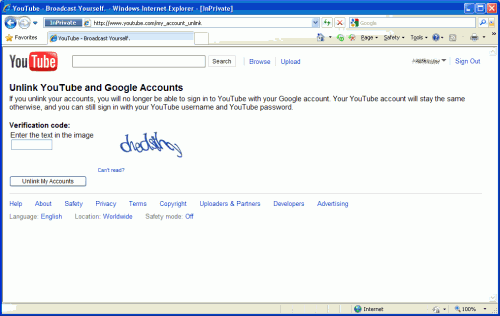 But I created my Youtube account in 2006. Please, I really want to unlink this accounts. Hi. send me a private message at user/yop and I will help you.